You may have noticed during this past Sunday’s Golden Globes that Christian Slater acknowledged Harrison Ford in the audience. The two have never appeared in a film or television series before, but the fanboy in Slater couldn’t resist a little moment of geek-out prior to accepting his award for Mr. Robot. As obviously criminal as it is that Christian Slater has never before this year been even nominated for a Golden Globe, it’s come-to-think-of-it crazy Harrison Ford hasn’t previously paired with the actor. Let’s get on that, Lucasfilm. Cutest couple of the night, JLaw and ASchu were not only presenters and table neighbors. They’re currently working together on a screenplay. 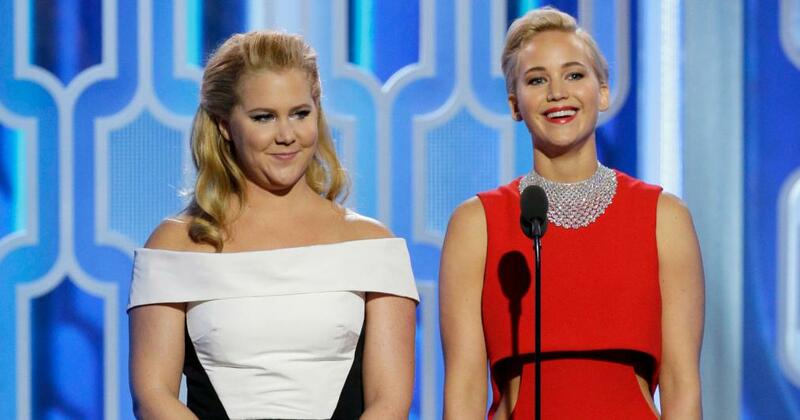 I expected Amy to reconnect, present or sit with winner Brie Larson (her on-screen sister in Trainwreck), but now I can’t wait for JLaw and ASchu to steal all future show hosting duties from Tina Fey and Amy Poehler. Last year’s Exodus: Gods and Kings didn’t pan out for Big Short nominee Christian Bale and Martian winner Ridley Scott. 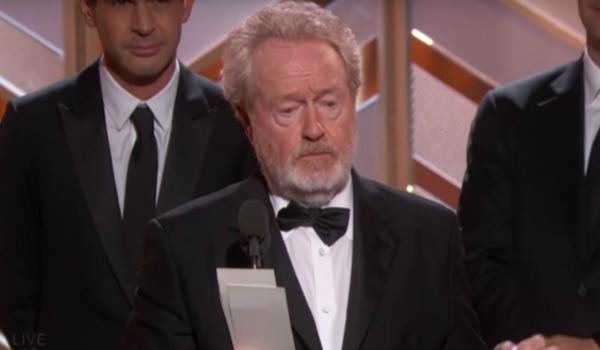 But as Ridley Scott awkwardly explained in his acceptance speech, “I’ve made some bombs.” Okay, I’m paraphrasing, but something like that. Other high profile nominees and winners in past Scott-helmed movies last night: Michael Fassbender and Idris Elba (Prometheus), Denzel Washington (American Gangster), Leonardo DiCaprio (Body of Lies), Cate Blanchett and Oscar Isaac (Robin Hood), and Brad Pitt (The Counselor). The Hateful Eight cost The Weinstein Company more money than it should have, and was released in theaters at a time it probably shouldn’t have, but there’s certainly no bad blood between Tarantino and Weinstein. Having accepted the award for Best Score on behalf of Ennio Morricone, Tarantino was the most likely to go into overtime on a speech, but imagine the awesome conversation between these two to come. They should have filmed Weinstein and Tarantino at the after-party calling/waking Morricone up with the news via Skype. 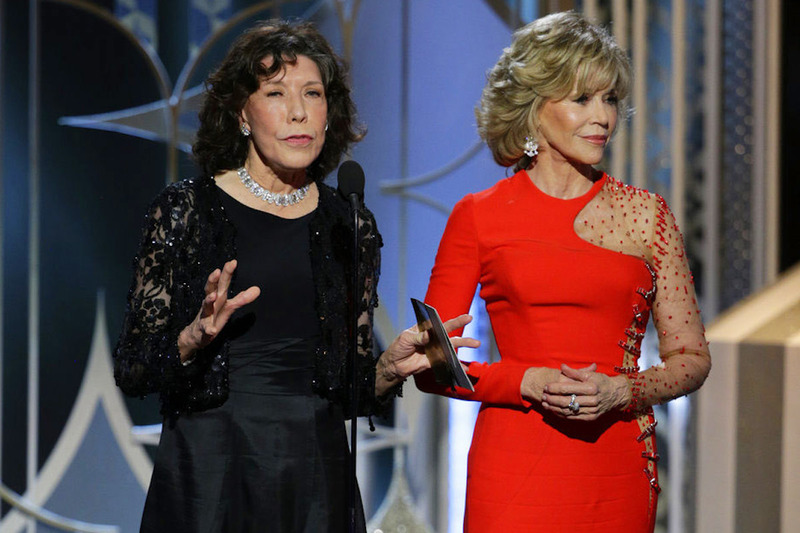 Early on-screen presenters, the Jump Street duo probably won’t be making any films with Jane Fonda in the near future. 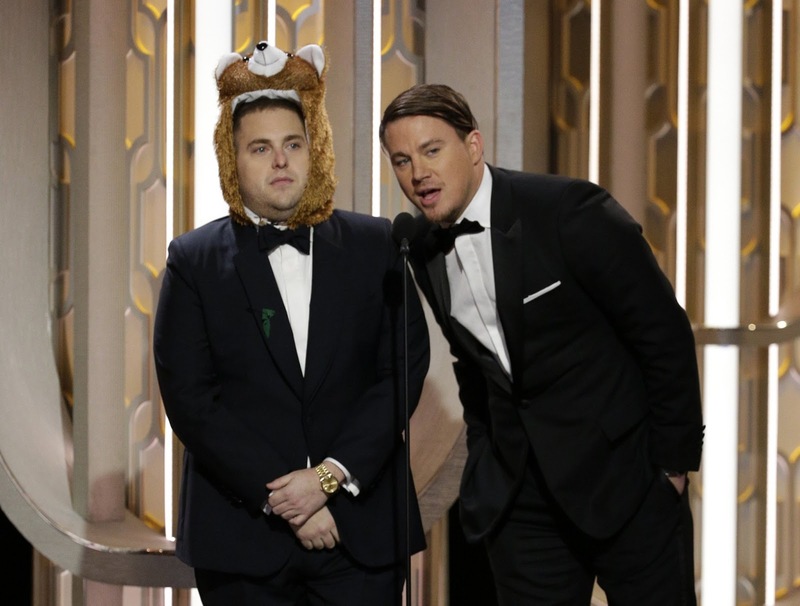 Despite awkward things on both of their heads, it’s never a bad time to unite Tatum and Hill. I know they’re on the same show together, but they were also in separate movies this awards season getting acclaim (Youth and Grandma) and that’s completely awesome. What a way to make a living. Also, they’re looking pretty fabulous for their age. Biggest missed opportunity of the night, in my opinion, was not getting these two True Romance legends up on stage to present together. But then again, the telecast almost cut short Ridley Scott’s dedication to that film’s director – his late brother Tony. Maybe next year? Fifteen years after its nomination for Best Foreign Language Film at the Golden Globes (which it should have won, by the way) the director and star of Amores Perros took top honors in their categories. Bravo, boys! Win Golden Globe Nominated 'Victoria & Abdul' on Blu-ray! Win Golden Globe Nominee, 'The Square' on DVD!